Savvy travelers from across the world rank going to a beach destination as one of the top activities when asked about how they would like to spend their vacation. The endless array of waterfront entertainment, diverse landscapes and outright beauty of many of the world’s most popular beaches make them attractive to every visitor. Puerto Vallarta – one of the most popular destinations on the Pacific Coast of Mexico – has a myriad of impressive beaches that contain everything in store for each of its visitors. The best beaches in Puerto Vallarta are situated at diverse points throughout the bay. They all have one thing in common, i.e., they provide sensational vacation experiences. 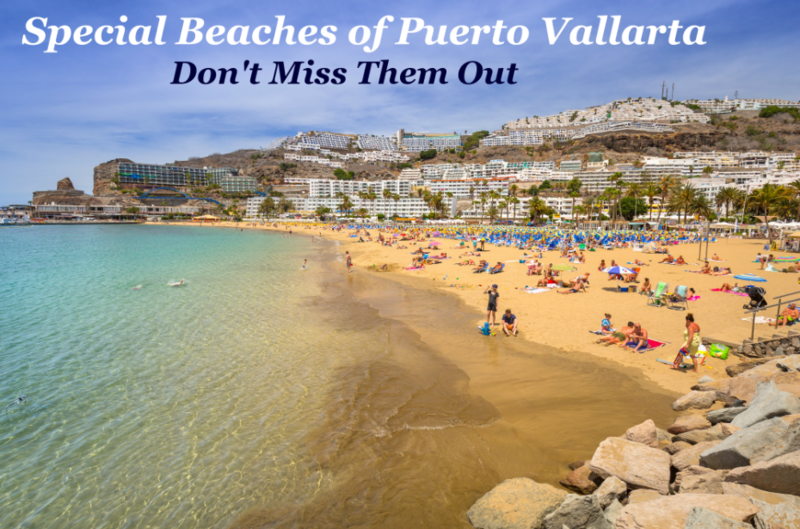 Visit each of these stunning beaches in Puerto Vallarta on boat rental while vacationing in the sunny city. From the below-enlisted beaches, pick your favorite and create a lifetime of memorable moments. Garza Blanca – The Best Beach For Relaxing: Garza Blanca Beach is one of the most beautiful beaches in Puerto Vallarta for relaxing. The exclusivity of the beach makes it an ideal place for relaxing in the sand. Being the only one white sand beach in the region, the water surrounding Garza Blanca beach looks brighter and even more spectacular than any other beach. Los Arcos Island – located in its close proximity offers visitors an opportunity to admire the unparalleled natural beauty while they bask lazily at the beach. The stunning natural environment is sure to wow even the most seasoned of travelers. Conchas Chinas – The Best Beach For Romance: Conchas Chinas Beach is one of the most spectacular sites to host weddings or spend time with your significant other. The golden sand, pristine waters and brilliantly displayed rock formations of Playa Conchas Chinas create the ideal site for a romantic day at the beach. Take a leisurely walk hand in hand and explore the many facets of the beach, or simply lounge on a blanket and enjoy the warmth of the Puerto Vallarta sun. Los Muertos Beach – The Best Beach For People Watching: It is by far one of the best beaches in Puerto Vallarta for people watching. Being one of the most famous and most frequented beaches in the area, here you can play volleyball games or listen to the enthralling tales shared by the locals. You can also enjoy crazy banana boat rides, and taste gourmet meals to fish on a stick from the restaurants dotted along the shore. A visit to Los Muertos Beach is definitely a must when vacationing in Vallarta. Playa Camarones – The Best Beach For Water Sports Activities: This beach is located in the heart of Puerto Vallarta’s hotel zone. To make your visit here ultimate fun and full of entertainment, be part of the many water sports activities. Head out on a parasailing adventure, grab some friends for a Banana Boat excursion, or borrow a paddle board and make your way to the ocean. It is at this place where you can make your feet wet, swim, or just lie out and work on your tan. A majority of the beach is as quiet as can be, so sit back, relax and enjoy. For a local like experience, the visit is a must. Boca de Tomatlán – The Best Beach For Adventure: The southern end of Banderas Bay is home to a variety of different beaches and they together offer a myriad of opportunity to adventure enthusiasts. You can spend your day hiking along the coast, hop from one beach to another and take in the panoramic views of Puerto Vallarta’s natural beauty. Here the visitors can find a trail that leads to the neighboring beachside villages of Las Animas, Quimixto and Yelapa. The adventurous route will take you through secluded beaches and to some of the most beautiful landscapes along the bay. The best part about visiting any or all of the above-mentioned beaches is that you can stop at any of the main beaches, grab a bite to eat and then hop back on your private and luxurious Puerto Vallarta boat rental. Regardless of the age, all visitors and locals alike can enjoy swimming, surfing, scuba diving, snorkeling and relaxing on the above-enlisted beaches. Ask your Puerto Vallarta boat rental provider to make suitable arrangements if you are looking to try out adventurous activities for the first time.